Oh my god! My stomach! "wonder if I scared him off. Maybe the jack-o-lantern I hid in those dirty shirts was too much?" 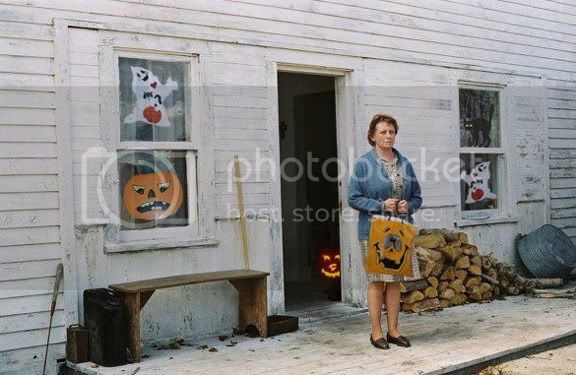 "Hope the orange bag doesn´t clash with my sweater"
"Now my Jack has some other ghosts to play with"
"Haunted? You ain't seen nothin yet. Try living all year round with my husband, and you'll consider Halloween a vacation." "This is the closest I´ve gotten to wood in nearly 15 years "
"Again?! Now, Jack, you went as a cowboy LAST year too!" "I hope the kids like "Bit-O-Honey."